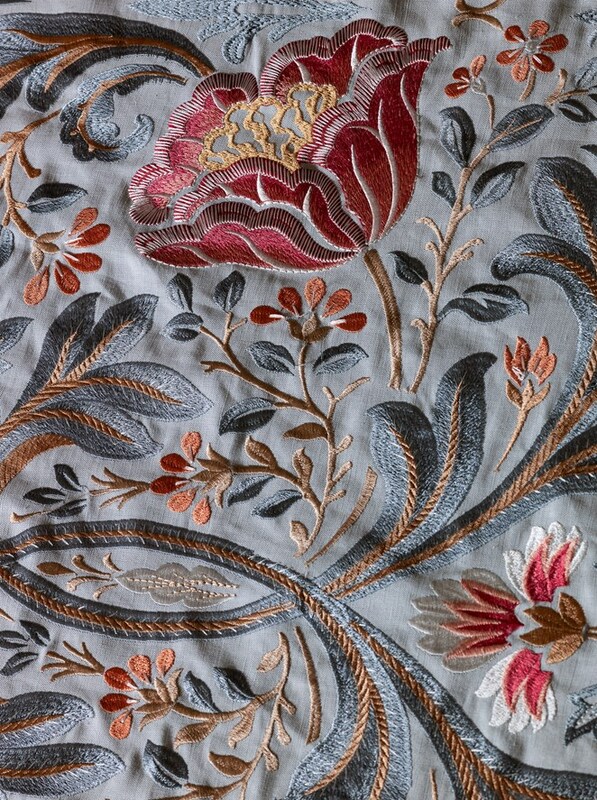 Textured fabric such as this beautifully embroidered jacquard Acantha by Colefax and Fowler adds richness and vibrancy. The threads catch the light and add depth to the design. 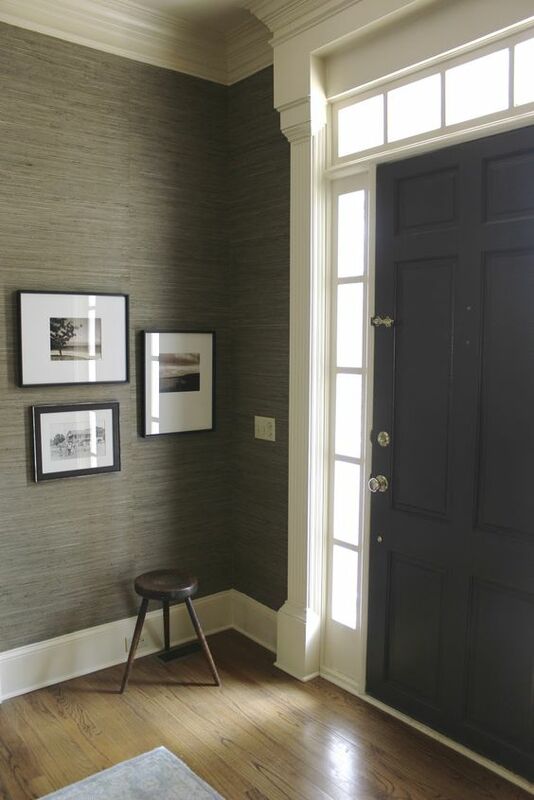 Textured wallpaper can be plain. It doesn’t have to be busy in design. Grass cloth or woven wallpaper can be quite sensuous to the touch, the light reflects off the raised surfaces and by its nature, it has many different tones even though it is in a plain colour. Many homes have bare floors now often using tiles or wood. They are excellent for a number of reasons: easy to clean, hardwearing and great for allergy sufferers but sometimes a floor needs something cosy be it for warmth in the winter, reducing noise levels or reducing wear on a wooden floor in a high traffic area such as a corridor. Rugs and runners, like this one from Designers Guild, aren’t just there for comfort either. 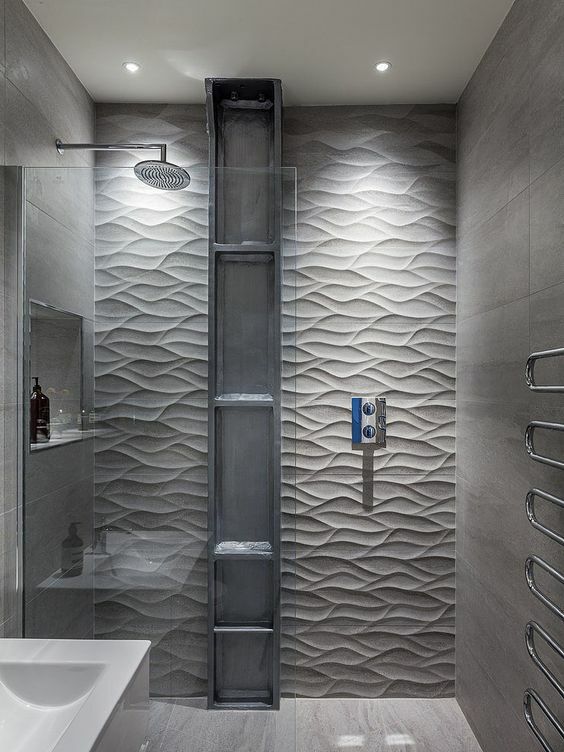 They add a stylish design statement to your interior too. You can really have some fun with textured accessories. 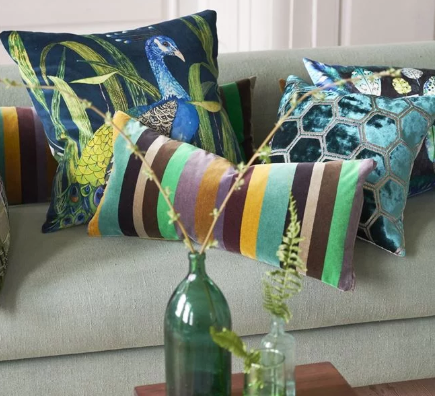 Tassels on cushions, fringes on curtains, curtain tiebacks, knitted throws, crocheted blankets – they all combine to add zest and personality to a room. Tiebacks have a practical function as they hold back the curtains, letting in more natural light and ensuring the curtains hold an elegant shape. 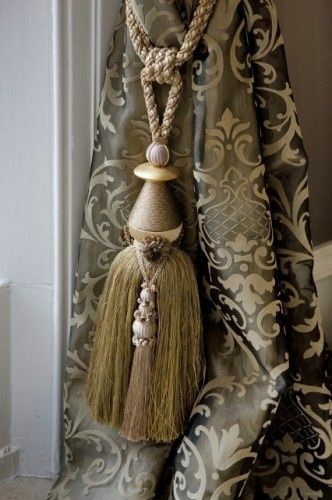 Their appearance isn’t just decorative though as they add weight and extravagance to a pair of curtains. 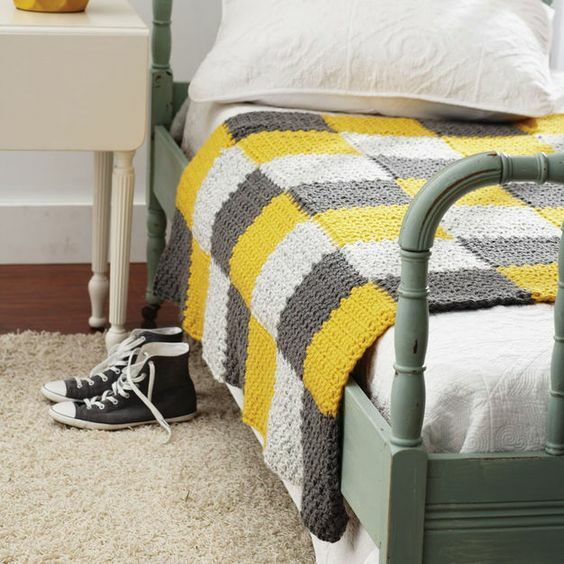 A simple crocheted or knitted blanket or throw is perfect for providing more warmth on chilly evenings (be it on your bed or on the sofa) but also warms up the space just with its textured chunkiness. Lots of people prefer a minimalist design scheme and there’s nothing wrong with that. 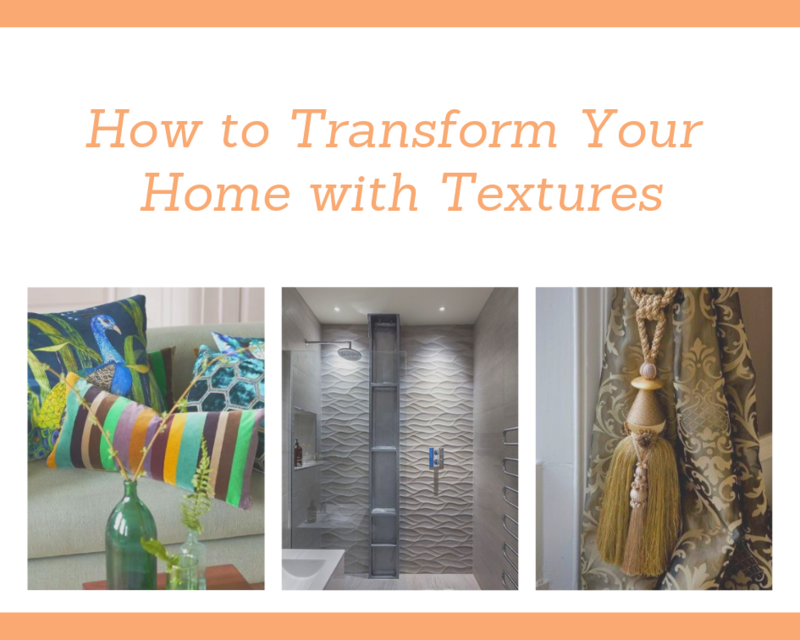 However, adding a couple of items with texture can improve sound absorption and prevent a room looking bare, making it look loved instead which is exactly the look you are after.